OK OK. I know it’s not that amazing. With Delaware being all of 2,490 square miles (putting it right ahead of only Rhode Island in size), one could feasibly get around all of Delaware in one day if they wanted to. Thing is, I don’t know of anyone that has actually tried this. Delaware tourism begins and ends with beaches. Sure, the occasional traveler may make a foray into an interior state park or the capital city of Dover, but, by and large, nearly everyone going to Delaware goes there for the beaches. Sure, many east coasters have passed through, say, Ellendale, Delaware. This tiny abode is on a main vein to the shoreline. The town takes you by surprise (It’s why it’s known as Speed Trap, U.S.A. around these parts) as drivers are forced to slow down to 25 mph (from 55) almost instantly upon arriving in Ellendale. In fact, Ellendale bases a great deal of its local economy around these speeding ticket fines. Anyway, Ellendale is one of 57 incorporated areas within Delaware. Each time I go to visit family on the Delaware coast, I try to take a unique route (or a funky side trip once I arrive) to tack on another Delaware town or two. Why? Because it seems I’m the only one doing it and, well, why not? While everyone is enjoying the beach (and I find time for that too), I’m driving through Dagsboro, Milford or Laurel. In fact, in the top 31 of those areas (places in Delaware with 1,000 people or more) I can definitively say I’ve not been to only one of them. Now, granted, there is a small handful that I’m not completely sure of and if I want to really complete this list, I’ll have to go back and tag them as well. That said, I am completely sure that I’ve missed Selbyville (and for that matter, the lesser populated Frankford nearby). Both are a short drive from the coastal town of Fenwick Island (which neighbors Ocean City, MD) and are no problem for me to reach. 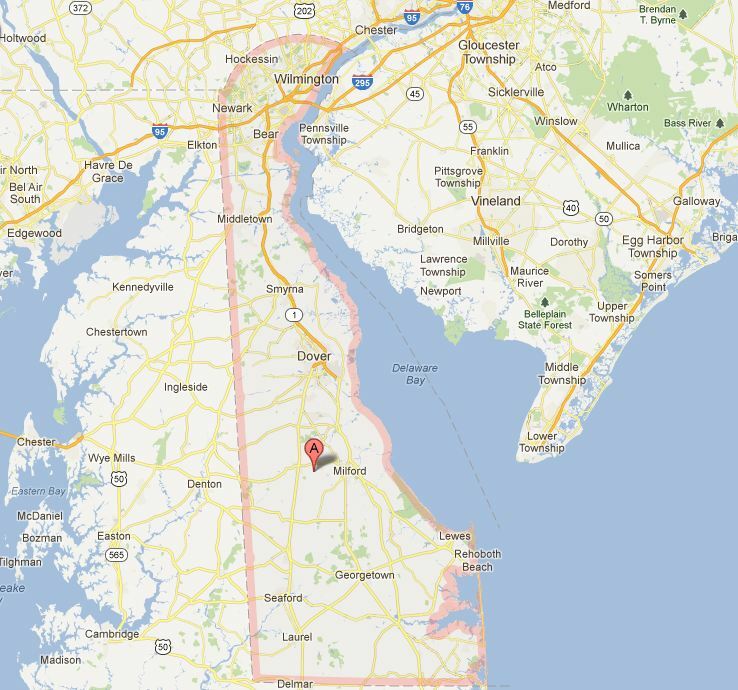 Those two towns have now been penciled in for my next side trip in the great Blue Hen State. I know county collectors have completed states (and our country) by passing through every single county. But you can do that in Delaware (all of three counties) and still miss a majority of all the little towns and communities within the state. Do you have a state you’ve “completed” yet? Have you been to every town or city? What ones are you missing? Hi, just found your website. I have been to 99% of the cities and towns in North Carolina. It has taken me year to do it and I would like to write a book about my travels. I have been through Delaware many times and like you, agree that there is more to the state than Dover Downs and the beaches. Why not write a book on Delaware. I have found that mine will be hard to publish for various reasons, mainly it is too large. Walter – what a great story! I’d love to read about your journeys, esp. considering the variety of cultures and landscape throughout the great state of North Carolina (one of my favorite to drive through!). In fact, I just interviewed someone who had visited every single “point on the map” in North Dakota – and managed to make a book of it. Check it out here.